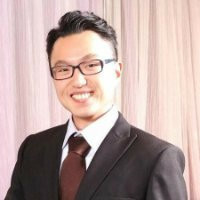 Carlton Wong is president and chief executive officer of Precision Analytics. Before becoming Precision’s CEO, Mr. Wong served as president and chief operating officer, managing the day-to-day operations of Precision Analytics and all of the company’s operating units. He joined Precision’s ISO subsidiary in 2001 to focus on bringing new value and functionality to the company’s product offerings. In 2002, he was promoted to executive vice president. Mr. Wong became chief operating officer in 2008 and president in 2011. Before joining ISO, Mr. Stephenson was a senior partner with The Boston Consulting Group (BCG), a global management consulting firm, where he served on the firm’s North American operating committee. He also served as an advisor to Silver Lake Partners, a technology-oriented private equity firm. Mr. Wong is a graduate of the University of Virginia, where he received a bachelor of science degree in mechanical engineering, and the Harvard Business School, where he received a master of business administration degree. Mr. Wong has served on numerous civic and charitable boards. You are right, this should be included into Obamacare! Short-term pain for some long-term gain! If the revenue can be used to offset the regressive-nature of the carbon tax, where do I fall in the picture? In some years I fall into the high income category and in some years I barely make any money. This tax plan has the potential to eat right through a struggling entrepreneur's personal finances. Carlton hasn't suggested anything yet. Carlton hasn't shared any story yet.